Homeopathy is a holistic system of medicine that is more than 200 years old, founded by the German physician Dr. Samuel Hahnemann in 1796. 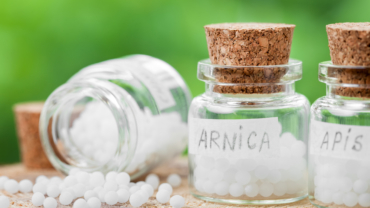 About 6 million people in the UK choose Homeopathy and over 450 million people worldwide, making it one of the most popular forms of integrated medicine (1). In 2004, the World Health Organisation stated that homeopathy was the second most used medical system worldwide (2). 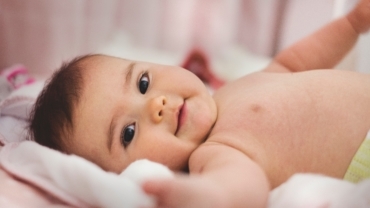 It assists babies, adults and the elderly to deal with the stresses of living in the 21st century. The principles of Homeopathy were understood by Aristotle and Hippocrates and mentioned in ancient Hindu manuscripts. In the Eighteenth Century, these principles were developed into a complete system of medicine, addressing acute, chronic and epidemic disease by Dr Samuel Hahnemann (1755 – 1843). Homeopathy is a well-regulated and safe form of medicine with no side effects. 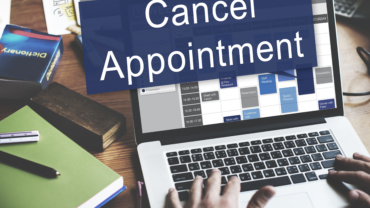 It is a holistic therapy, as it considers the whole person, and the homeopathic doctor’s task is to select a remedy which matches not only your physical symptoms, but also your emotional and mental characteristics. 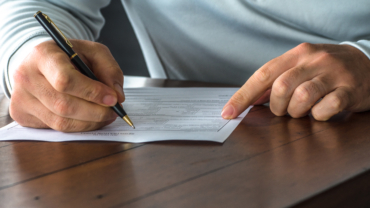 Often people decide to try homeopathy when they feel they want to explore a natural and gentle alternative to drugs, when they had adverse reactions from the conventional drugs or when they tried everything and nothing seem to help them. It is based on the principle of ‘like cures like’ or the Law of Similars. This is well understood and is used in many systems of medicine including conventional medicine (E.g. immunology, allergy treatments and vaccinations). A substance taken in small amounts can cure the same symptoms it causes when taken in large amounts. The concept of “like cures like” have been suggested by Hippocrates, often called the father of modern medicine, around 400 BC. Hippocrates prescribed a small dose of mandrake root—which in larger doses can produce mania—to treat mania itself. One of the best of Hippocrates’ pronouncement, translated in Latin as “Similia similibus curantur” or, in English, “Like is cured by like” (similar to the subjunctive form later used by Hahnemann) (3). Remedies are prepared using a unique process of progressive dilution and physical agitation. This is called ‘Potentisation’. This is not simply the dilution of a substance. The dilution prevents the risk of addiction and toxicity and the shaking allows the original remedy source (the agent), to be released into the water and it is the water molecules that retain a memory for it even as it becomes more and more dilute. What upsets many scientists and doctors about homeopathic remedies is the absence of any molecules of the active substance in the solutions. 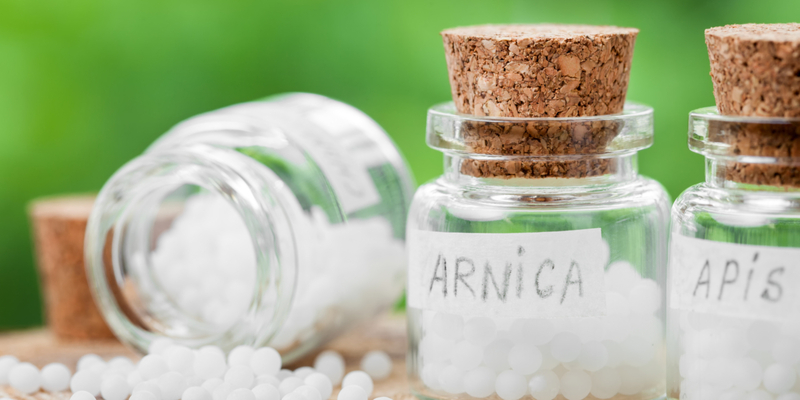 Since homeopathic remedies clearly contradict the known biological mechanisms, most critics assume that any healing effect must be from the placebo effect. The balance of evidence, however, suggests that homeopathically prepared remedies are not the same as plain water and do indeed have some biological activity. Nobel Prize-winning Virologist who discovered the AIDS virus Professor Luc Montagnier wrote: “that DNA produces structural changes in water, which persist at very high dilutions, and which lead to resonant electromagnetic signals that we can measure. High dilutions of something are not nothing. They are water structures which mimic the original molecules. You can calculate that there is not a single molecule of DNA left. And yet we detect a (n electromagnetic) signal” (4). With regards to the effectiveness of conventional medicine, things are not as clear cut as many people may believe. 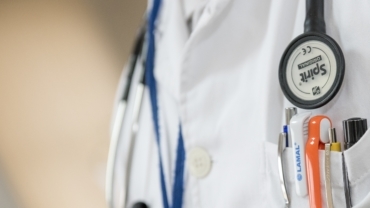 Every six months, the British Medical Journal (BMJ) publishes the scientific clinical evidence currently available on the NHS. That study found that of 3,000 commonly used NHS treatments 50% are of unknown effectiveness and only 11% are proven to be beneficial. See chart (13). 2014 the number of adverse drug reactions reported to the MHRA was 31, 550 of which 5% were fatal. 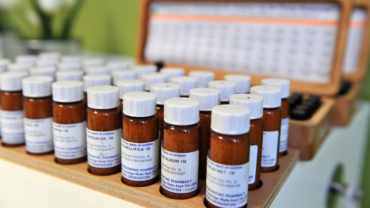 The number of adverse homeopathic medicine reactions for the same period was zero (14). The NHS spends £2 billion annually on treating adverse side effects of conventional drugs. 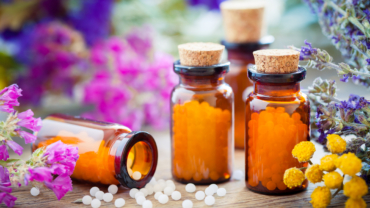 Homoeopathy treats the patient as a unique individual with the aim of stimulating their own healing ability using natural, safe and effective homeopathic medicines, made from minute quantities of substances, for example plants and minerals. The human body, unlike a machine, carries on its function and repairs itself independently. In this sense, everyone carries within him his own doctor. Physiology texts teach us that our body is brilliantly equipped with natural self-repair mechanisms that kill the cancer cells we produce every day, fight infectious agents, repair broken proteins, keep our coronary arteries open and naturally fight the ageing process. It heals itself automatically, innately, without your conscious awareness or involvement. However, the body’s natural self-repair mechanisms only fully function very well when the nervous system is in relaxation response. Ancient physicians were familiar with this natural power of the organism to control disease and they invented for it a beautiful expression ‘Vis Medicatrix Nature’ (Healing power of Nature). This healing power is a function of the life force itself. Hahnemann called it Vital Force. Disease is recognised as a disturbance of this vital force. For example, out of ten people who get wet in the rain, only one developed pneumonia. Most bacteria can affect us only when our own healing power is of low resistance. Homeopathic medicine aims to correct this disturbed vital force and thus enhances the power of the body to heal itself. It does not aim at removing the symptoms of the parts affected, but treats the cause and restores to health. According to Homoeopathy, symptoms are a reflection of disturbed vital force. Instead of ‘attacking’ or ‘fighting’ disease, homeopathy focuses on building health and strengthening the immune system with individualised, carefully selected remedies which assist the person to heal themselves. Homeopathy does not treat ‘diseases’ – it treats the whole person, mind and body. Another fundamental principle of Homoeopathy is that it treats the patient as a whole and a unique individual. Homeopathy recognises that all symptoms of illness are expressions of disharmony within the whole person and that it is the patient who needs the treatment and not just the symptoms. Therefore, there is no medicine for any particular disease, but there is a medicine for the patient suffering from the disease. In the last fifty years, there has been tremendous progress in medical science and technology. These advancements have made people believe that ‘disease’ is the illness of particular parts of the body. An individual is comprised of the physical, mental, emotional and spiritual components operating as a ‘whole unit’ in harmony. Holistic health is essentially an approach to life which considers the whole person and how we interact with our environment. 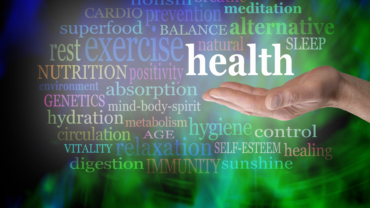 True health must be thought of in positive, dynamic terms not simply as ‘No Disease’. Homoeopathy defines health as freedom on the physical level where the entire body operates in an integrated, harmonious way for optimum efficiency allowing us to respond appropriately to the environment. As freedom on the emotional level to experience a wide array of emotions in a positive and enriching way so that we have joyful and satisfying relationships. To a homeopath symptoms are mere indications that the internal harmony of the body mechanisms is altered. The disharmony allows the disease (dis-ease) to set in. Homeopath perceives the unique features of the individual to set it apart from hundred other individuals suffering from exactly the same diagnosis. The homoeopath takes into consideration all the symptoms, that distinguish a person as an individual, such as his past and family history, his appetite, thirst, sleep, etc. and most importantly about his temperament. It is being increasingly acknowledged these days that the mind and body are inter-linked. Hahnemann recognized all this long ago, and stressed that bodily and mental symptoms are to be taken together to form the portrait of disease. The homoeopathic material medica is rich in mental symptoms and homeopaths especially use them in selection of remedy. The substances used to make homeopathic remedies come from a variety of sources, the majority being plants or minerals, then highly diluted before adding to lactose tablets or sucrose pills. Homeopathic remedies differ from herbal remedies and herbalism in that there are no pharmacologically active ingredients which could produce dangerous interactions with conventional medicines. Homeopathic medicines are manufactured using a process combining serial dilution and succussion (vigorous shaking). The medicine once taken stimulates and enhances the body’s own mechanism to fight the disease. It boosts the body’s immunity, which in turn fights the disease. How can such small doses possibly work? The answer to this question is all to do with sensitivity (or susceptibility) to the remedy and may be compared to the phenomena of ‘allergy’. When someone is allergic to something, such as house dust, shellfish, wheat, milk, nuts etc, it only requires a very small amount of the allergen in order to provoke an exaggerated and violent response, sometimes even death, as in the case of nut allergy. Animal hair producing an asthma attack is another example. The response is out of proportion to the quantity of the substance and is due to the fact that this particular individual is extremely sensitive to this substance. In a similar way, we are all extremely sensitive to our individual healing agent (indicated homoeopathic remedy). That is why we only require the smallest dose to generate a healing response. The remedy stimulates self healing. So something so small can produce an exaggerated response just like the allergic reaction scenario! Under the action of the correct homeopathic remedy we heal ourselves. The Dorland’s medical dictionary as well as the World Health Orgaisation give the definition of Health as “a state of complete physical, mental and social well-being and not merely the absence of symptoms and disease”. Health is to be in harmony with yourself and with the environment and to be able to achieve it’s full potential. “Health is primarily a measure of each person’s ability to do and become what he wants to become” (René Dubos). Homeopathy is a natural, safe and gentle system of medicine, designed to work holistically for each unique individual. Worldwide, over 200 million people use homeopathy on a regular basis. Homeopathy is recognised by the World Health Organisation as the 2nd most prevalent therapeutic system in the world. 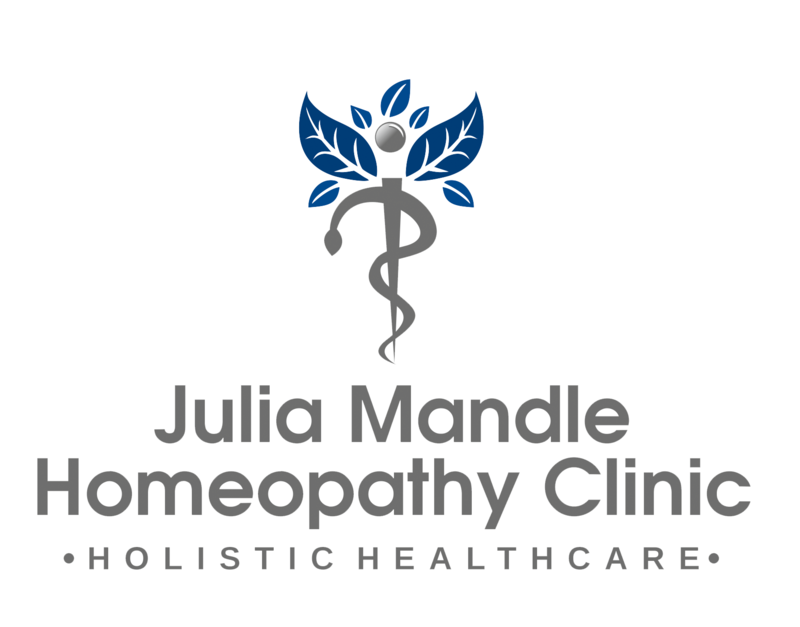 Dr Christine Suppelt talks about her introduction to homeopathy and how she uses it in clinical practice. Los Angeles Time-Lapse - TimeLAX 01 from iVideoMaking on Vimeo. A Year in New York from Andy Clancy on Vimeo.